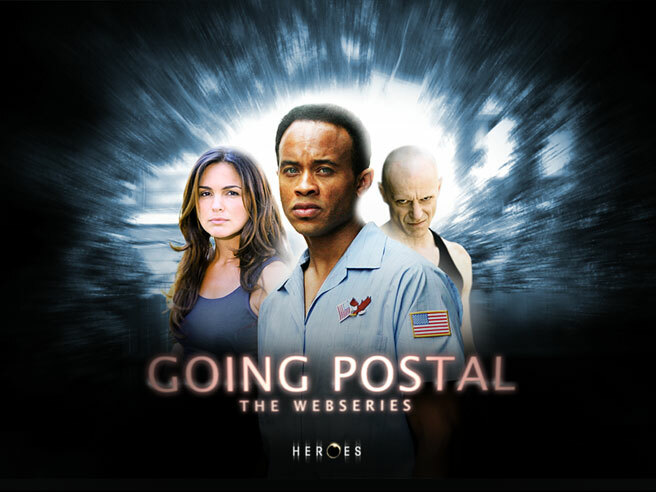 Going Postal was produced in summer of 2008. The show wasn't coming back until the fall, so this would keep (with the graphic novels) the fans busy in the meantime. It was quite amazing to see the budget for the production. Thinking back to the 'old' days of the web, when we had to get something accomplished with some 'leftover' material, so this was stunning. My goal was to give the keyart a professional look, so there was no confusion that this might just be some cheap YouTube clips.